Microsoft is creating new features to make its Office 365 service work better in schools and recently announced private beta testing for Microsoft Class Dashboard and Microsoft School Information Sync. Class Dashboard is a website that compiles content from various Office applications into one central location for teachers and students to use to stay on top of what’s going on in their classes. It will pull in notes, assignments, calendars and class materials to provide a digital home for all of the information that students need to know. 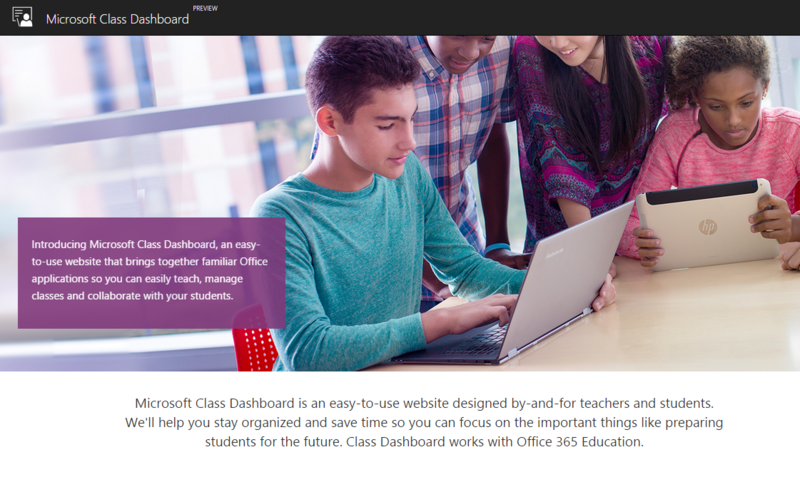 Each class with a Class Dashboard site will also have a OneNote Class Notebook. Teachers will be able to track progress on assignments and provide students with feedback and grades through the site. School Information Sync will join student information systems with Office 365 applications. Through the new service, administrators and teachers will pull information, like a student’s name and class enrollments, into Office 365 apps.